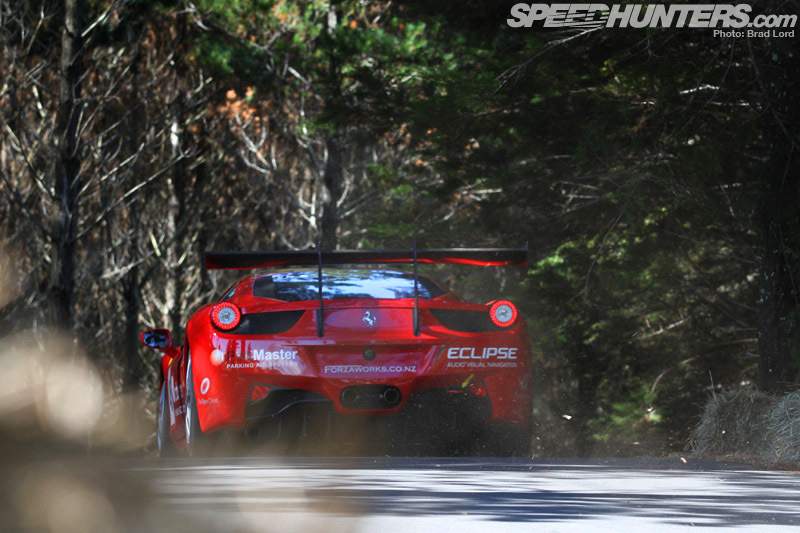 Any day I get to pack up my gear and go Speedhunting is a good day, but ever since this time last year I’ve been counting down the days to the next Leadfoot Festival. 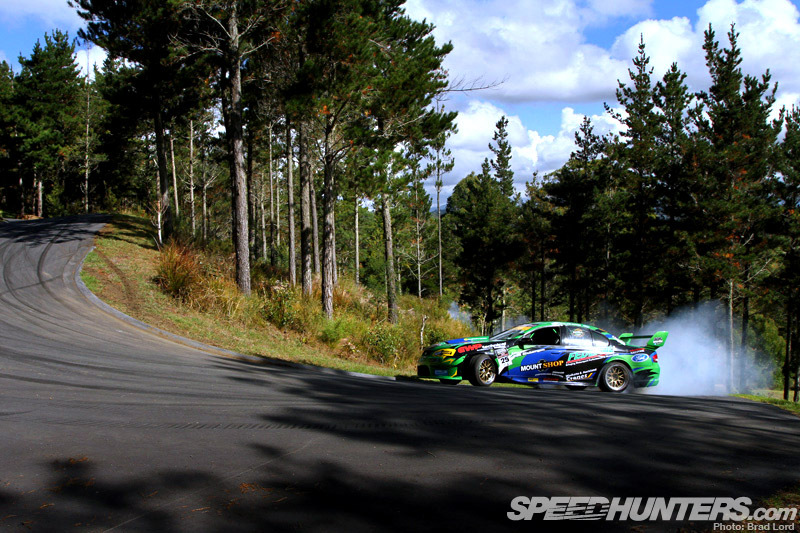 The weekend just passed, edition 2013 went down in style on Rod Millen’s 1-mile long driveway. Although he made a name for himself racing in the USA re-writing the Pikes Peak International Hill Climb’s record books and winning in a multitude of off-road disciplines, Rod’s a Kiwi, and after years stateside eventually found his way back to New Zealand where he’s enjoying the fruits of his labor at a beautiful 145-acre spot in one of the most picturesque corners of the country. 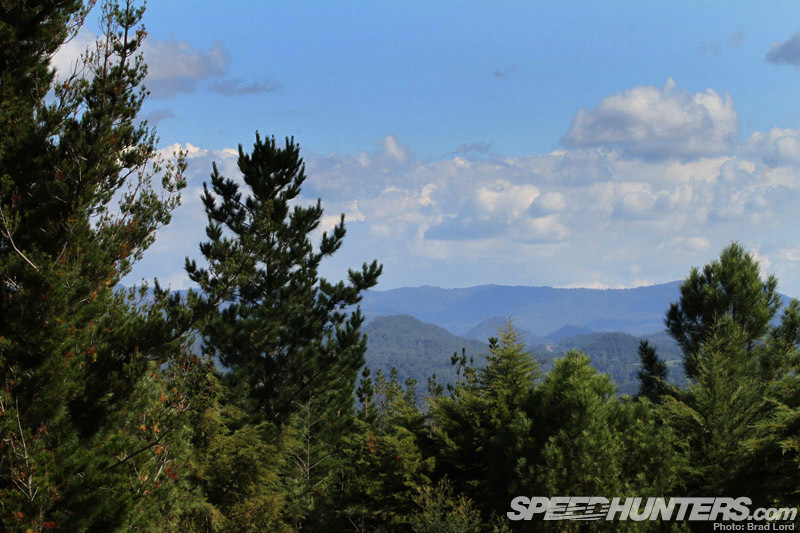 The ‘Leadfoot Ranch’ is not only home to Rod’s impressive automotive collection, but perhaps one of the most amazing private driveways built anywhere in the world. Sixteen corners deep, rising 262-feet (80 meters) in elevation and consuming 25,000 tons of metal (gravel) for its base and a further 215,000 square feet of asphalt for the surface, the 10-year long project came to fruition just in time for Rod’s 60th birthday back in April 2011. 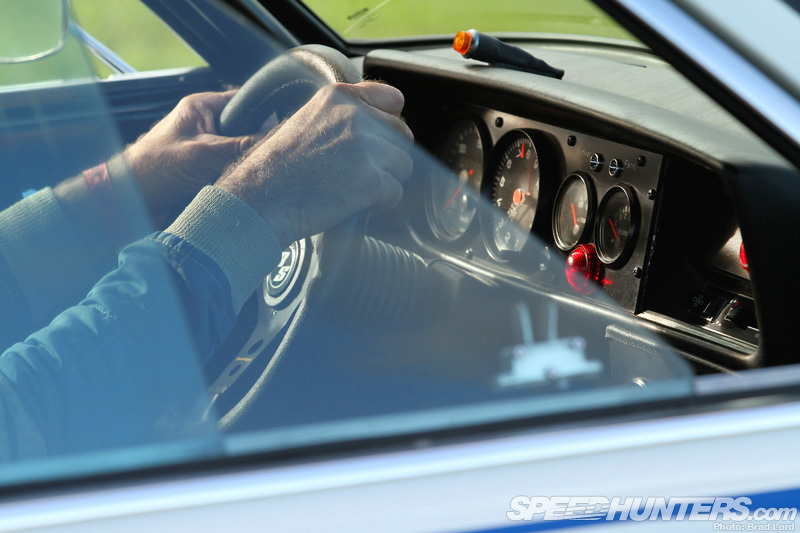 Around twenty five vehicles competed in that that first Leadfoot Festival, and although it was strictly friends and family affair – and still-then perceived by Rod and his wife Shelly as a “one-off” – 12 months later the Leadfoot Ranch’s gates were open public for the first annual event. It’s hard to show the sheer magnitude of the property and the path the driveway takes over the landscape without taking to the air for a birds-eye view, but as I’m sure anyone who has visited the ranch will attest: it’s big! And it’s also beautiful. Every single turn, straight, rise and dip over the mile has been carefully planned and fastidiously executed to compliment the surroundings. 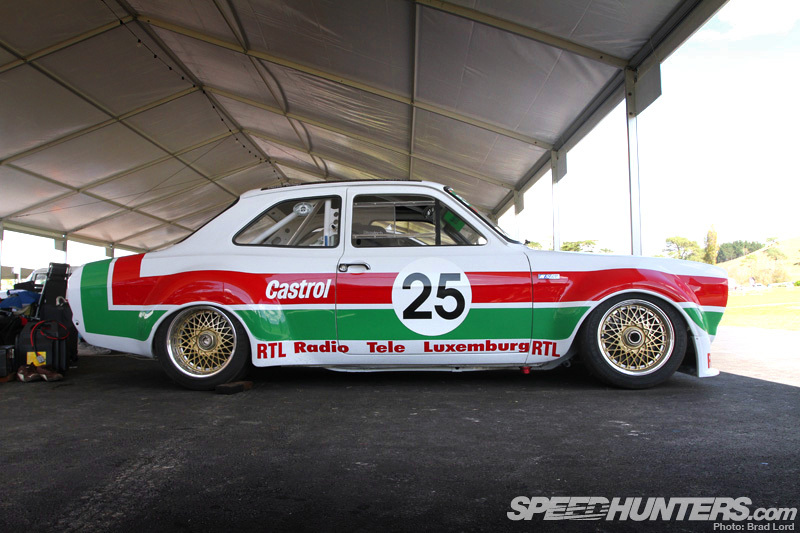 For invited drivers and spectators alike the physical result is nothing short of spectacular. 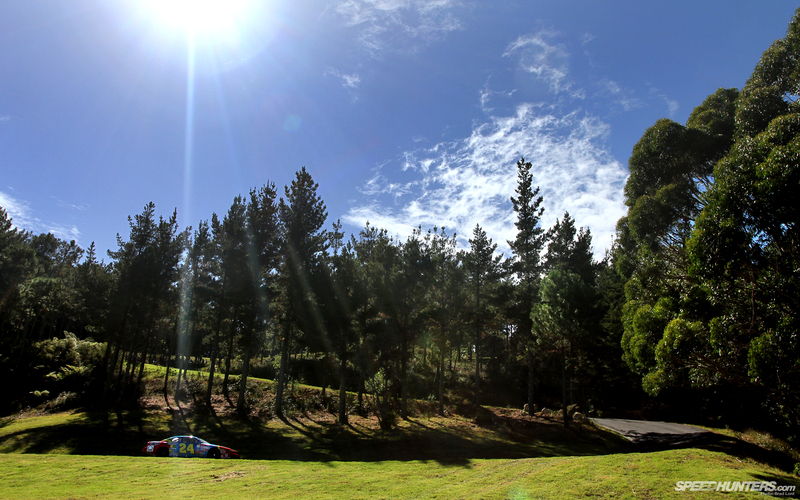 The environment is just one facet of a much bigger picture though. 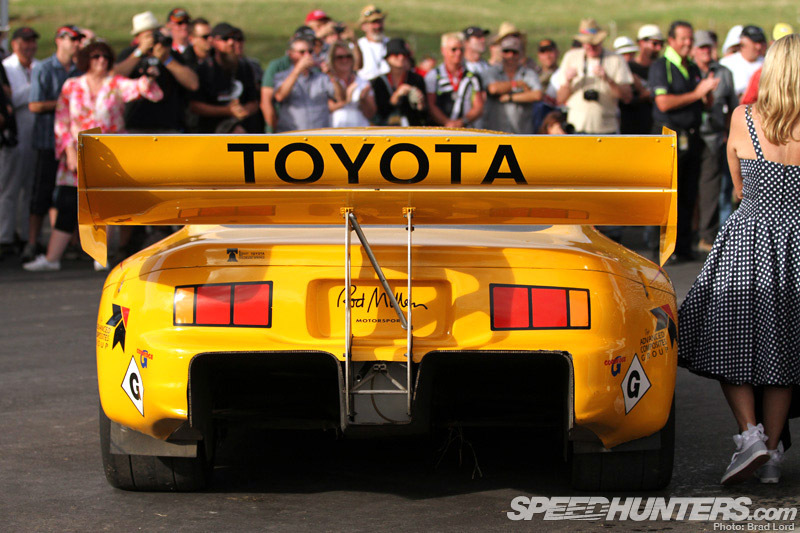 Within the ranks of the 100-plus cars and bikes competing this year were some truly amazing machines, most of which were playing in a foreign habitat. 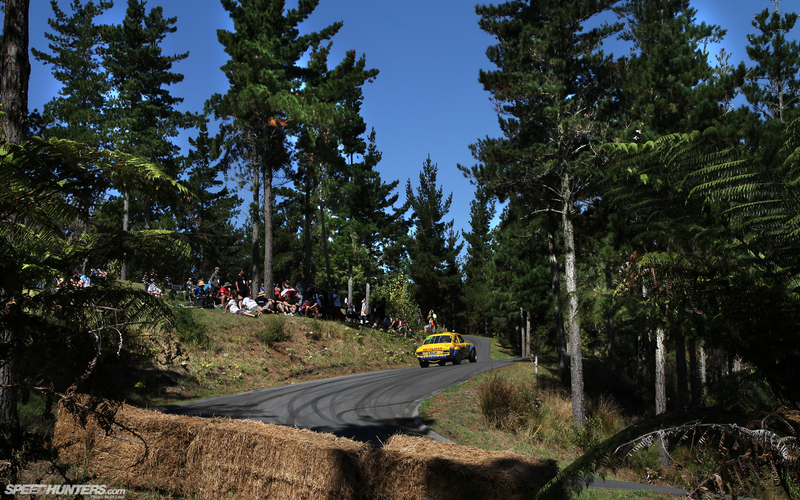 Bearing witness to cars like the 1988 ETCC-winning Group A Eggenberger Texaco Sierra Cosworth RS500 negotiating the tight and twisting forest section was a sight (and sound) to behold. 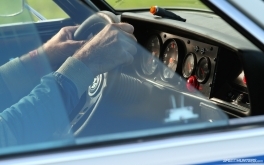 For drivers (and riders) it’s a good excuse to pull their cars of out the garage and put them to proper use. 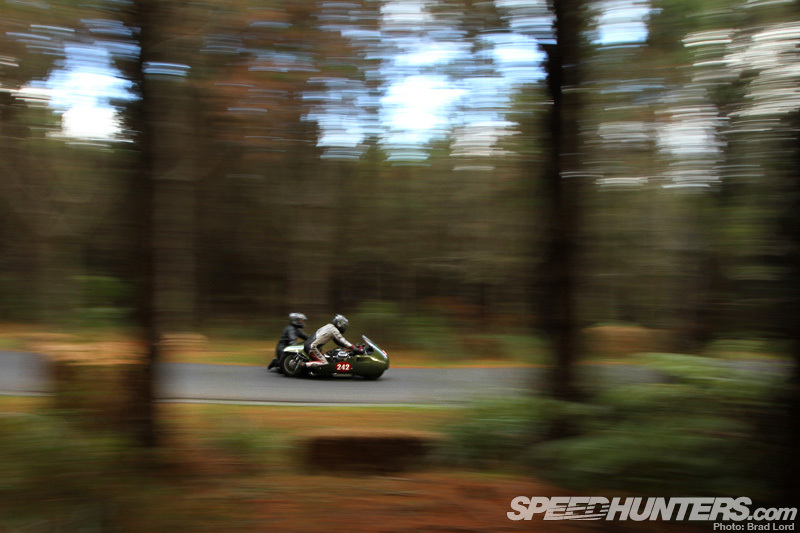 For some it only happens once a year, and Leadfoot is the place. For everyone, it’s an opportunity to celebrate and share their love of motorsport in a relaxed and unique way. 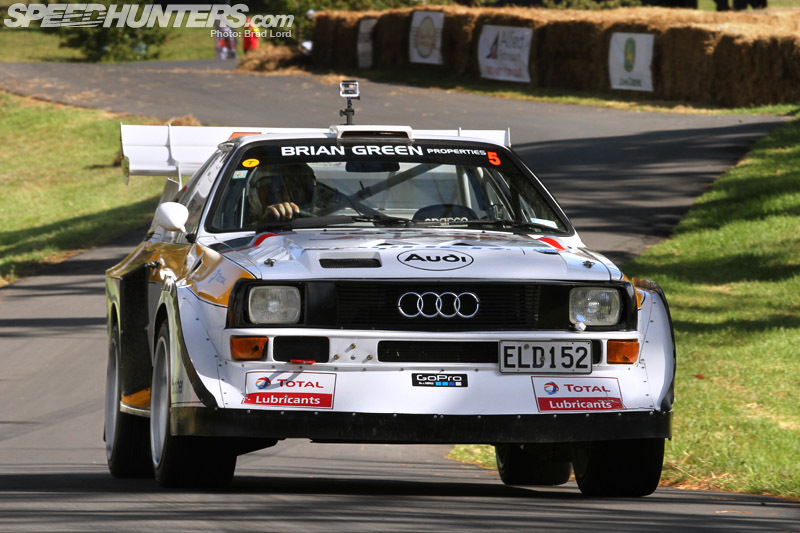 The 2013 line-up included familiar faces and crowd favorites like Andrew Hawkeswood and his ruthlessly fast Audi Quattro S1 replica. 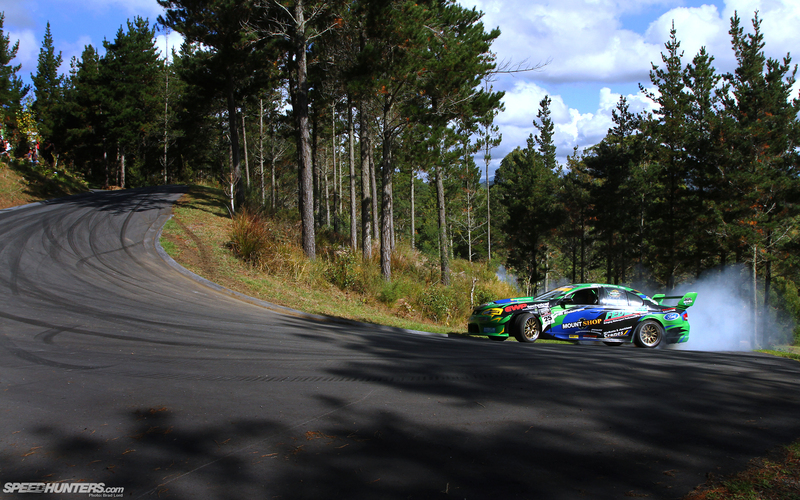 And also new faces and new cars to Leadfoot, like current V8 touring car champion Angus Fogg who was back behind the wheel of the car he cut his racing teeth in. 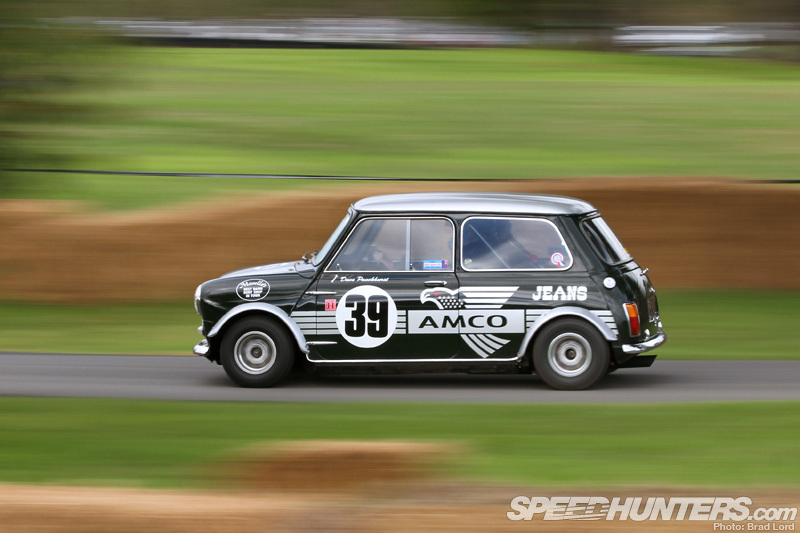 Don’t let the Mini Cooper S’s timid looks deceive you – a race-prepped BMC A-Series engine package complete with 8-port Arden cylinder head and twin side-draught Dellorto carbs bestows the car with decimating performance. 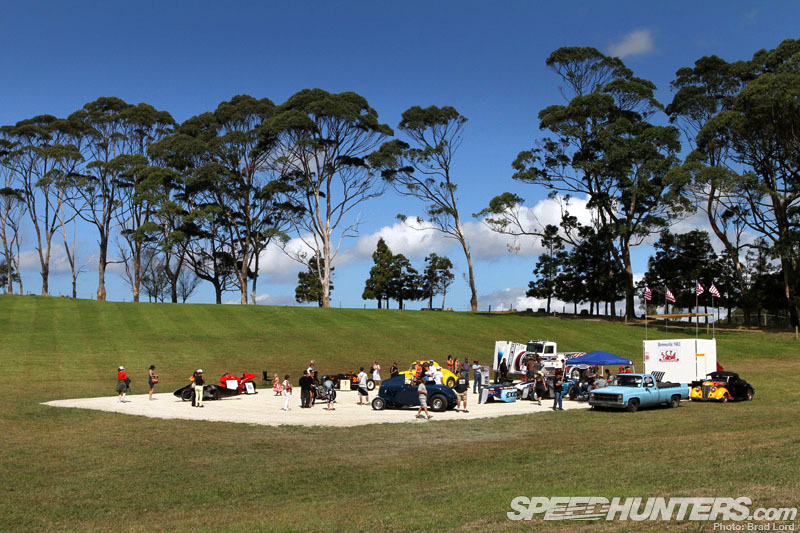 Regardless of whether fast cars or cruisers are your thing, there was something at Leadfoot for everyone, not to mention plenty of space to kick-back in. 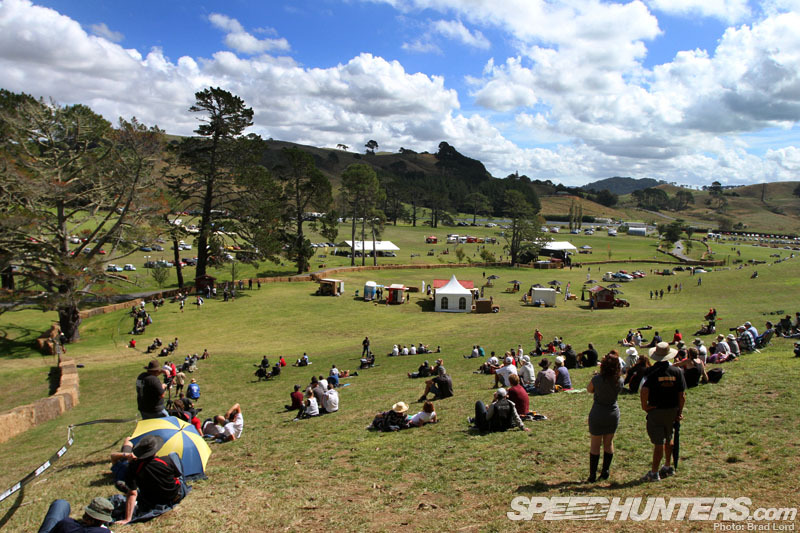 During the 2012 event rain played havoc in the pit area turning grassed farmland into mud, which was less than ideal. 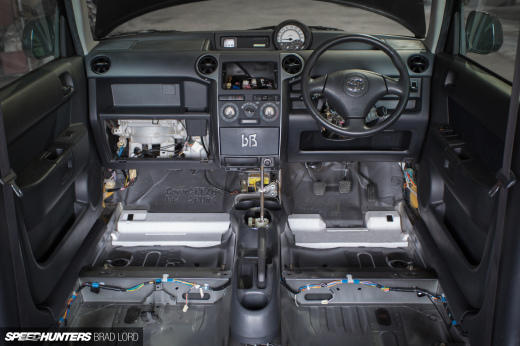 If you haven’t already worked it out for yourself now though, Rod isn’t the sort of guy to do things by halves, and 12 months on he’s created a fully-sealed area big enough to house all the competing vehicles. The relocated pit area also has its own driveway leading to the start line, effectively creating a dummy grid for drivers. With all-access for spectators, it’s a good place to check out the competing machinery close up before they head out onto the course for a run up the hill. 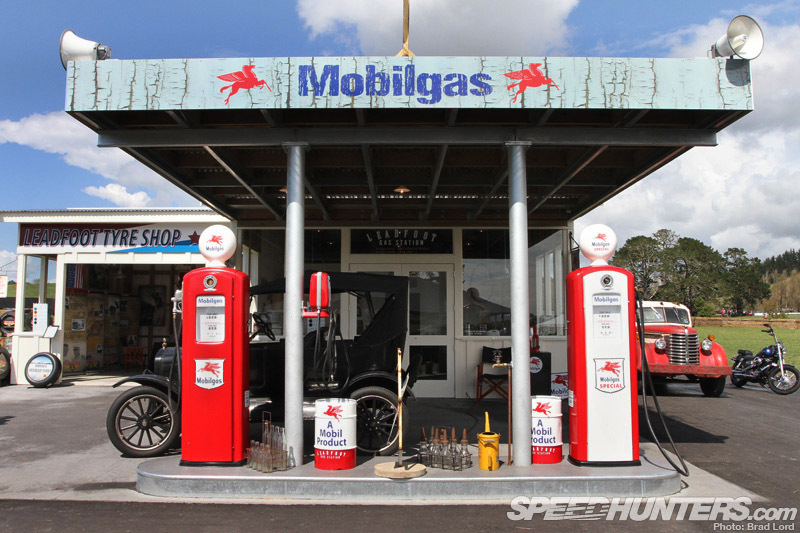 The centerpiece of the pit area, however, is an amazing vintage-style Mobilgas service station. 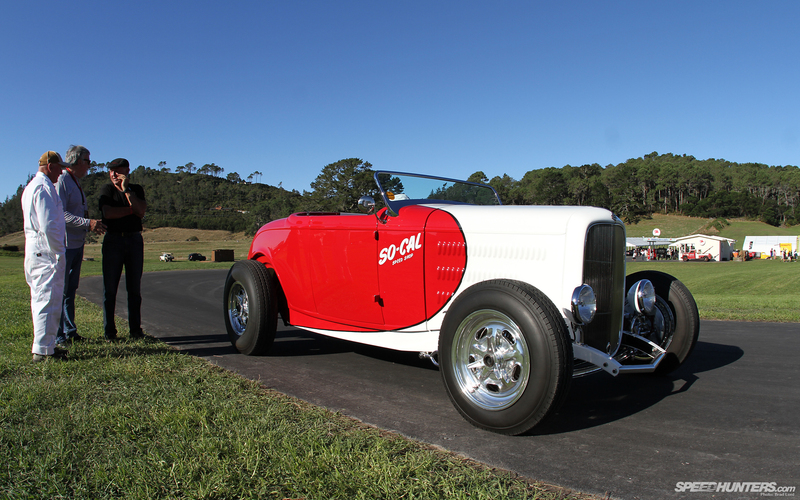 It doesn’t work as such, but being perfectly dressed with genuine fuel and oil artifacts of a bygone era of motoring only adds to the overall atmosphere of Leadfoot. 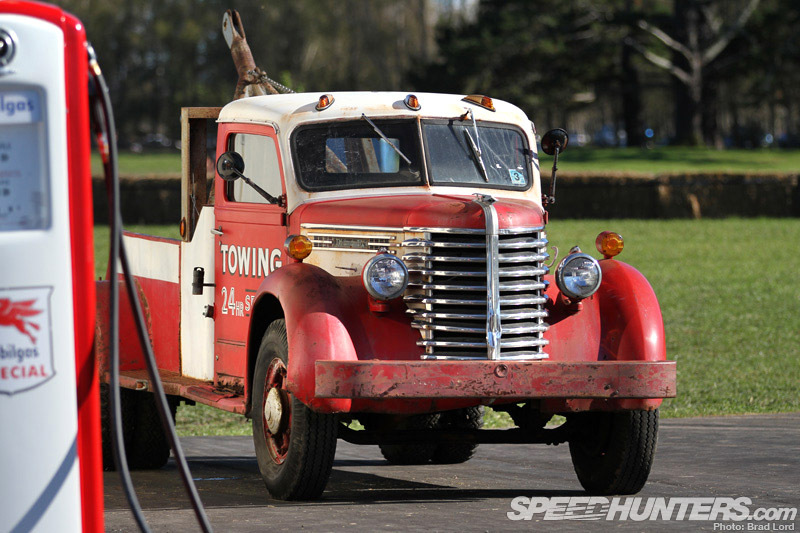 Along with Rod’s Ford Model T parked in the forecourt, a Diamond T tow-truck from the ’40s completes the life-sized diorama perfectly. The retro theme is something quite important to the property and that shows through in the permanent buildings and farm machinery where everything has a vintage flavor. In a break from the motorsport norm, fairground-style food vendors slinging fries and corn dogs were nowhere to be found. 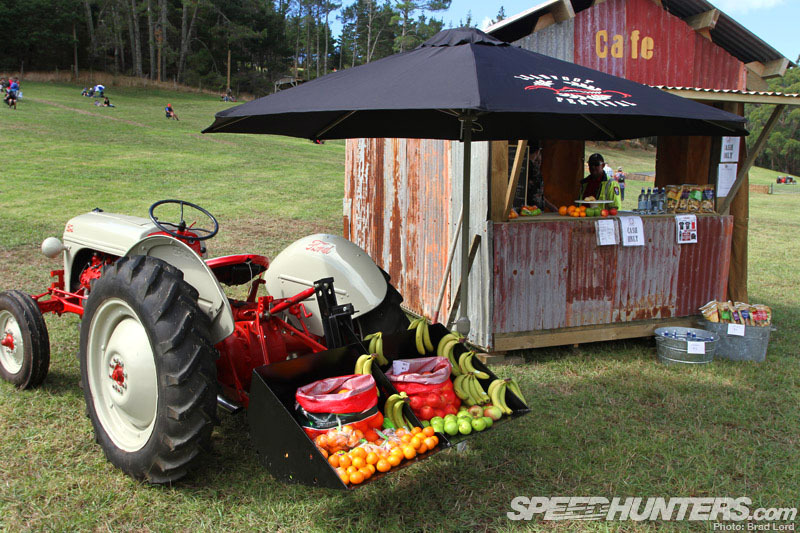 Instead specialist stalls sold everything from wood-fired pizzas, to seafood chowder, and even fresh fruit. 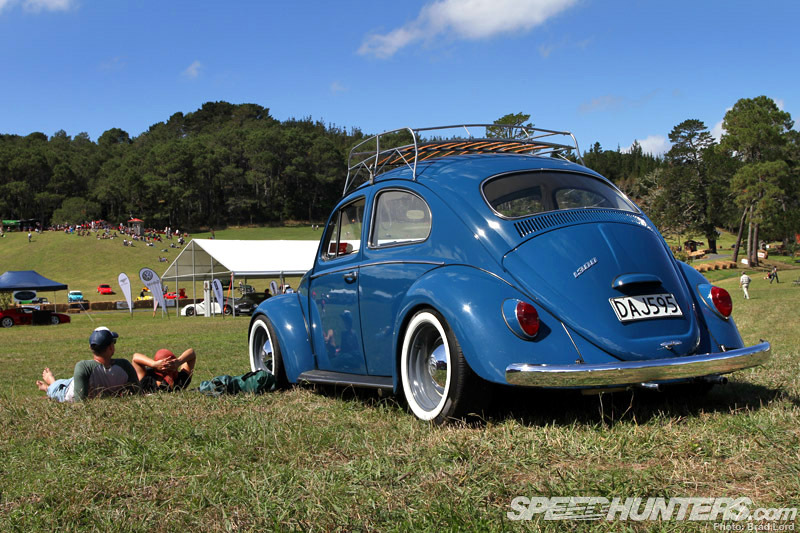 It’s all part and parcel of the rustic New Zealand experience. Oh, and locally-crafted peanut butter on toast was on offer as well. I had a slice, and it was good! 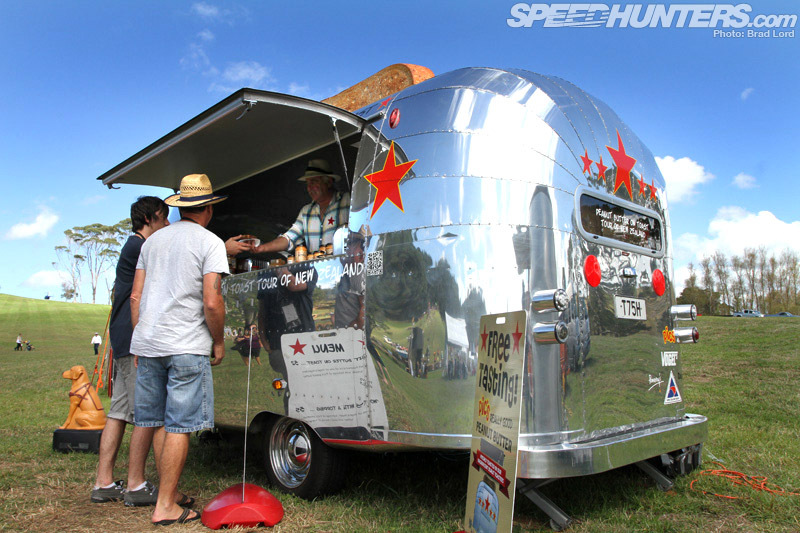 You gotta love the retro-inspired toaster rig that ‘Pic’ was selling his wares from too. 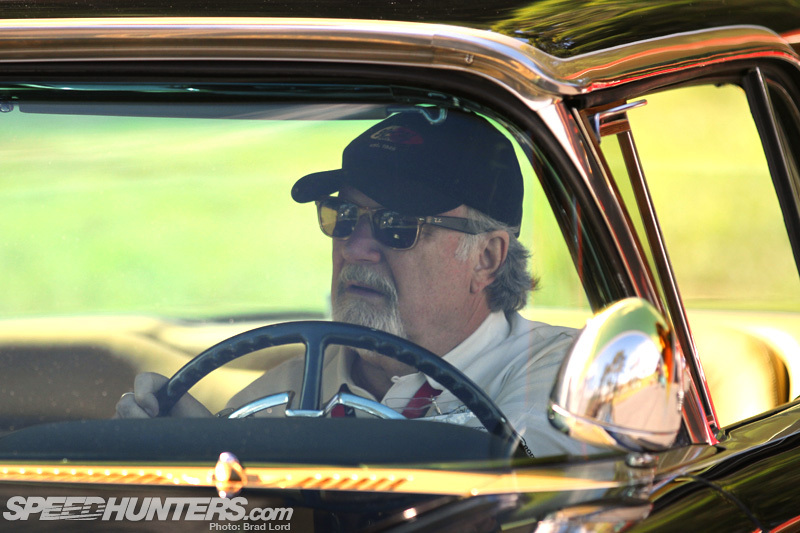 Before the event began I knew that ZZ Top guitarist Billy F. Gibbons was returning to the festival and this year with one of his own cars in tow. 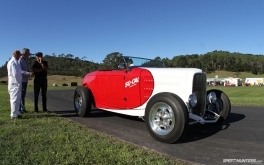 What I didn’t know was that Gibbons’ ‘Mexican Blackbird’ – a stunning ’58 Ford Thunderbird, would be sharing container space with another famous custom car from the States – SO-CAL Speed Shop’s iconic ’32 Ford Hiboy roadster. 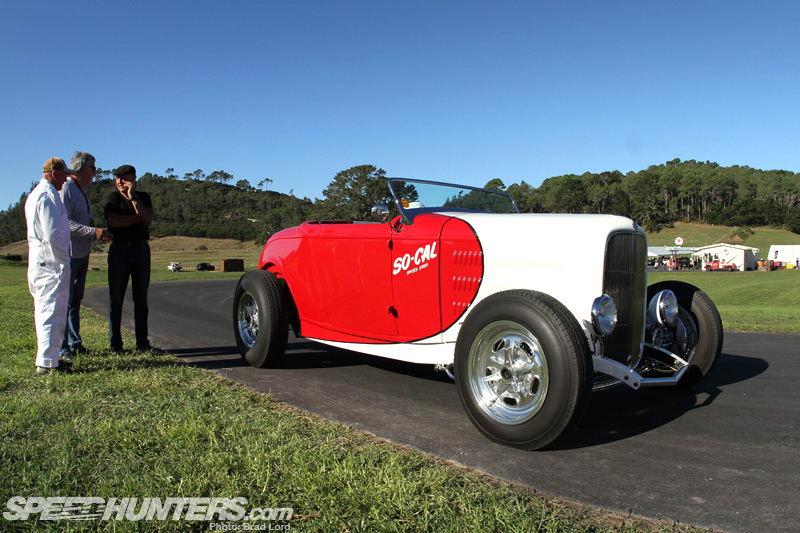 Seeing that the T-Bird is also a SO-CAL creation, it was only fitting that hot rod legend Pete Chapouris made the journey down under as well. I managed to have a quick chat with Pete after the event, and he was pretty amazed with what he had witnessed over the weekend. 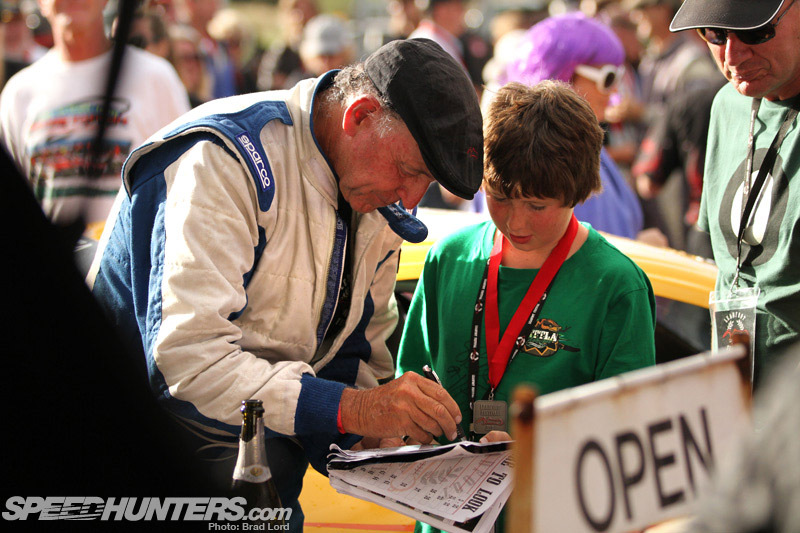 He also told me that he had learned more about cars outside the realm of rodding at this event than at any other international event he’s ever been too. 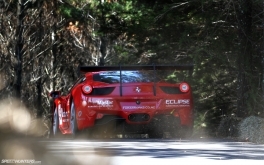 That’s testament to the way the Leadfoot Festival is presented and run. 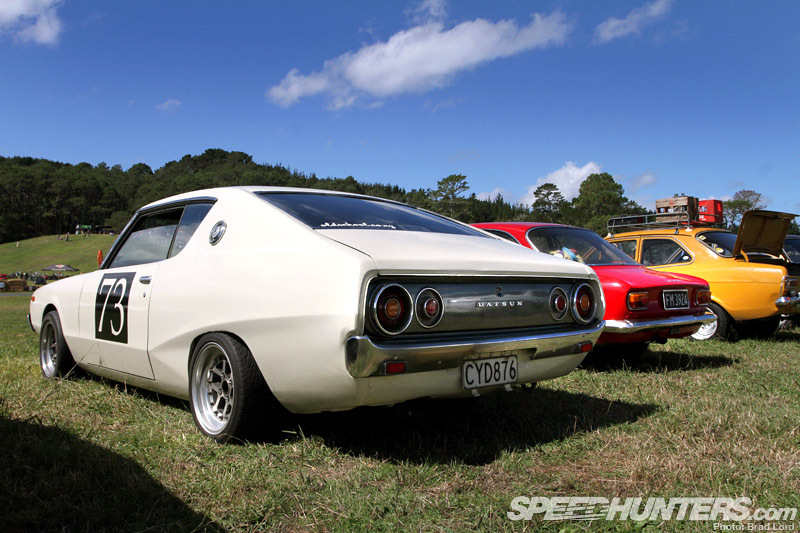 Another highlight of the event was Leadfoot’s tribute to Bonneville. I’m sure anyone else would have just set up the display in a defined area, but Rod did that and brought in truck loads of white sand for effect. 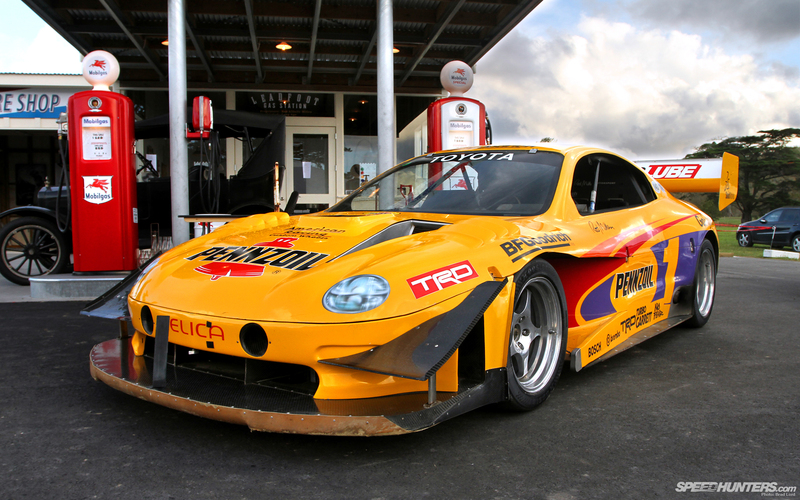 It’s the closest thing I’ve ever experienced to Speed Week on the Salt Flats! 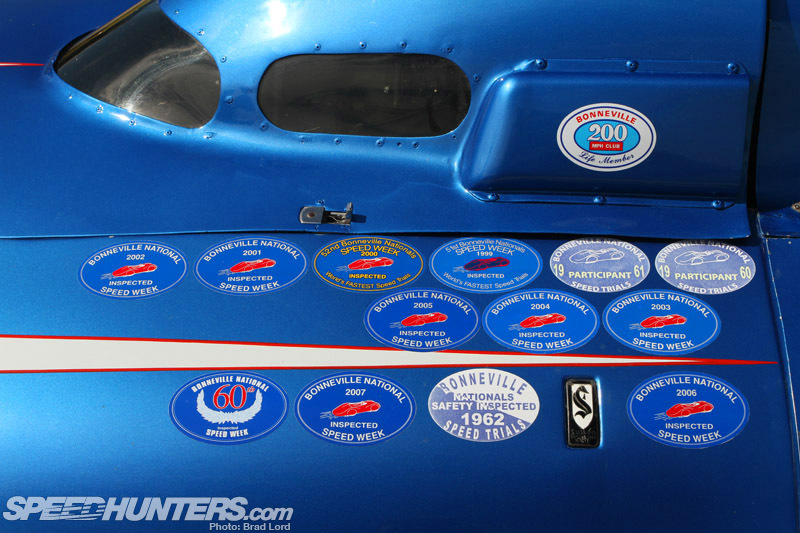 Of course, there were a bunch of cool machines on show, most of which have rich history at Bonneville. 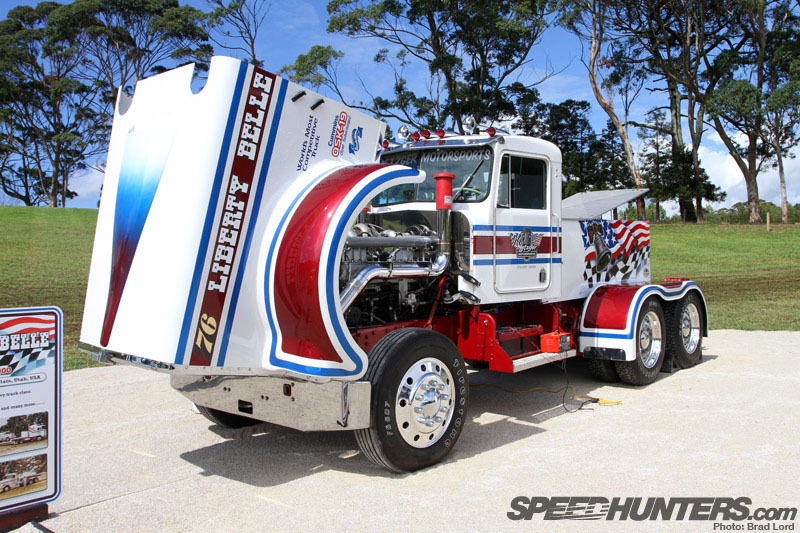 Commanding plenty of attention was ‘Liberty Bell’, a Kenworth WP900 that set a bunch of records at Speed Week back in 1975. Originally packing 600 horsepower for its stint on the salt and subsequent heavy truck class record of 132.154mph (212km/h), over the years it was continually modified for circuit racing, then tractor pulling. The latter explains the Cummins QSK 19L diesel engine with four turbos and water injection that now provides the go. 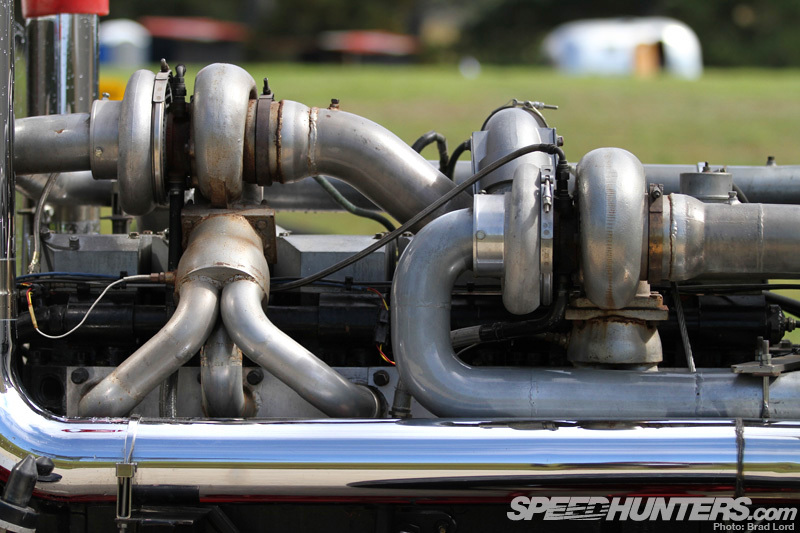 Apparently it all adds up to more than 3000 horsepower and 5000 foot pounds of torque! 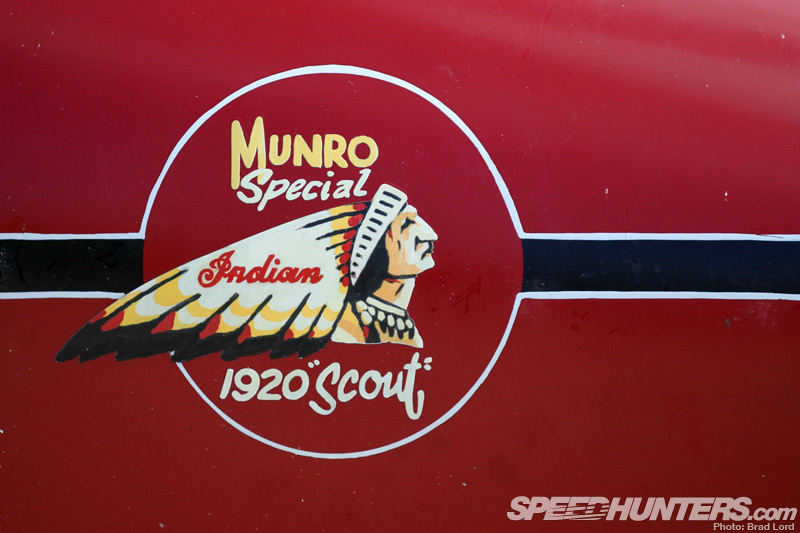 Something a bit closer to Kiwi’s hearts is Burt Munro’s 1920 Indian Scout – the subject of the 2005 movie: The World’s Fastest Indian. 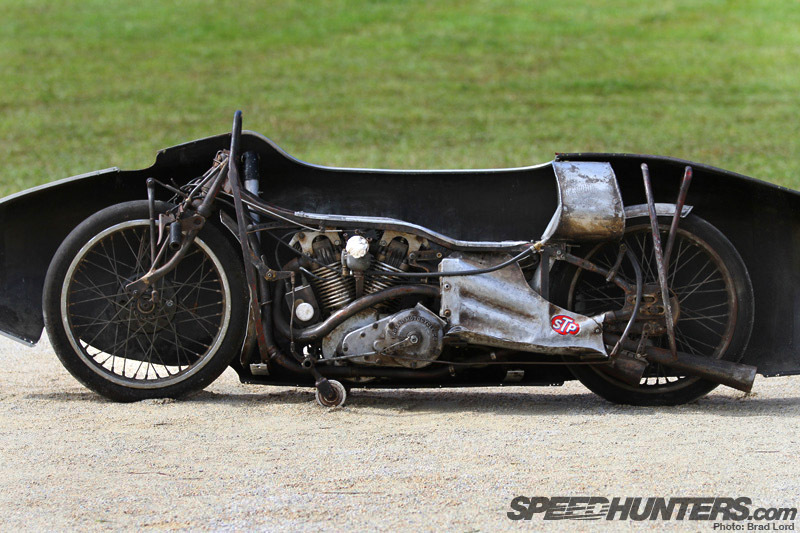 It might not be the real thing (that bike was split and altered long ago) ,but having been built by the Britten Motorcycle Company in New Zealand using many of Munro’s original parts castings, it’s very close to the machine he first took to Bonneville in the early ’60s – aged in his sixties. 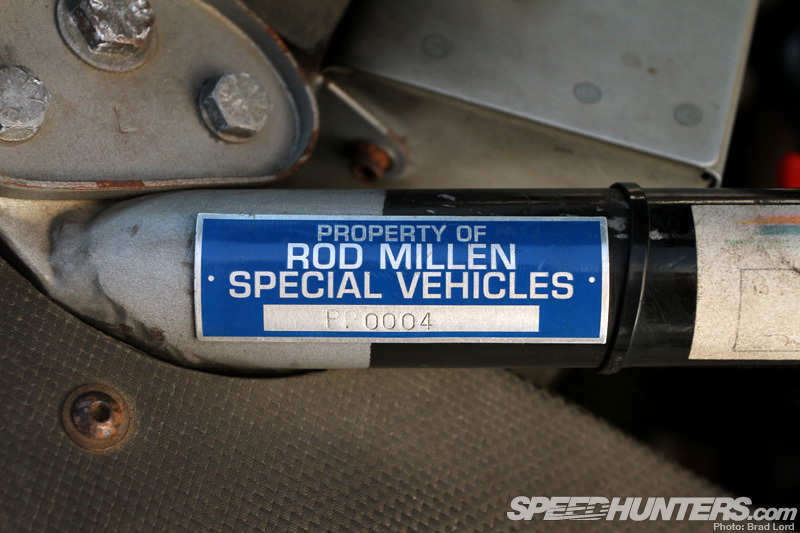 The fully-functional movie prop is owned by the film’s director, Roger Donaldson. 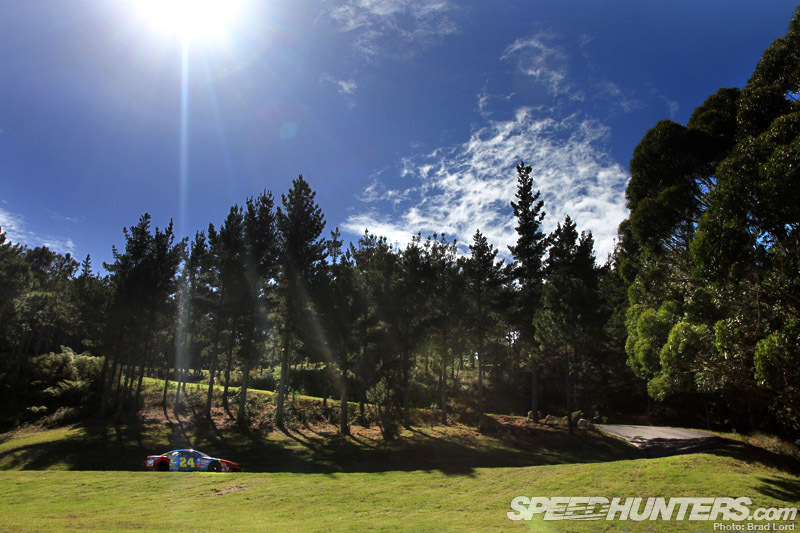 The racing never stopped and every minute or so you’d hear a different engine note echoing across the the valley. The sound emitting from this 2012 Ferrari 458 Challenge was rather pleasant. 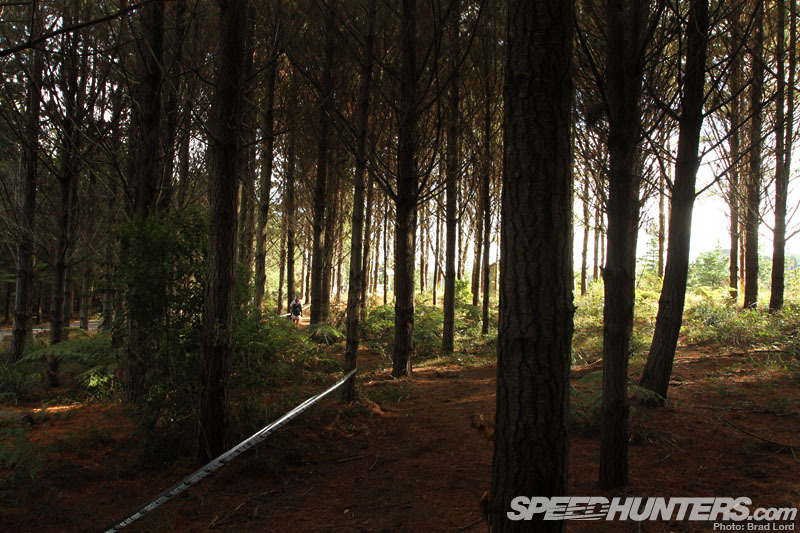 And especially so up at the top of the course, where the driveway (in the far left of the picture) winds its way through a dark and dense forest. 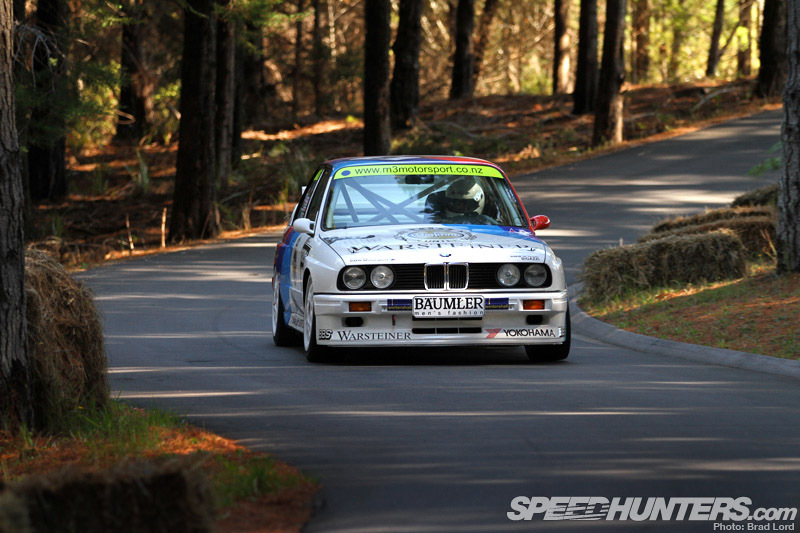 With multiple bends, camber changes and alterations in elevation, it’s one of my favorite sections of the driveway, and made oh-so-much better in this instance with a genuine ex-works BMW M3 Evo DTM machine in the frame. Spectators too were invited to bring along their own cars and park up them up a designated spot track-side where they became an integral part of the event. 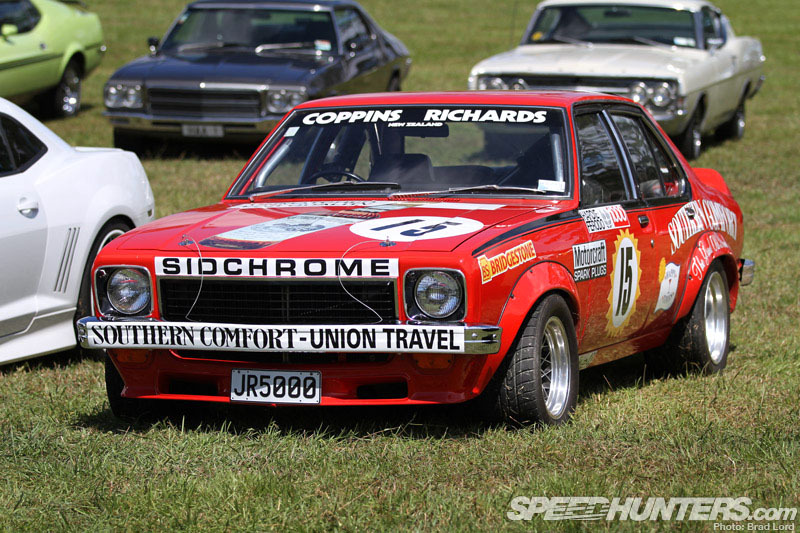 I was pleasantly surprised to stumble across this famous slice of New Zealand motorsport history: the Jim Richards/Rod Coppins Southern Comfort-sponsored L34 Holden Torana SL/R 5000 that took third place overall at the Hardie-Ferodo 1000 at Bathurst in Australia back in 1974. I had heard this car was being restored to its former racing glory, but to see it in the flesh (rather than 1:18 AUTOart scale form) was cool. 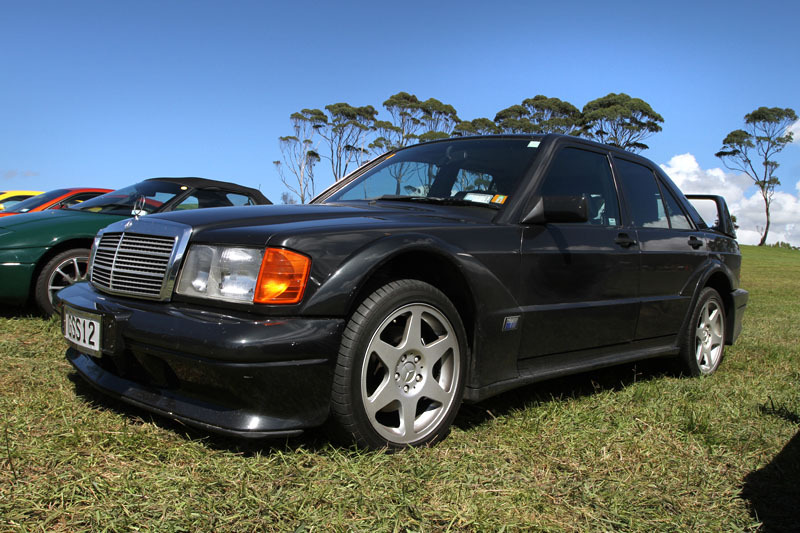 I was also happy to finally lay my eyes on a Mercedes-Benz 190E 2.5-16 Evolution II – one of just 502 cars ever built in this ultimate specification. 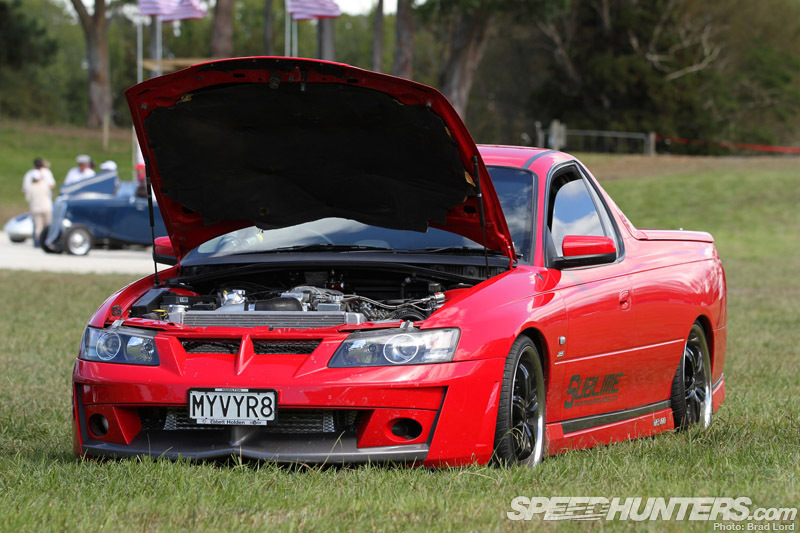 At the more modern end of this spectrum this HSV R8 ute had twin turbos added to its factory-fitted Chevy LS1. That’s got to be a bit of fun, right? 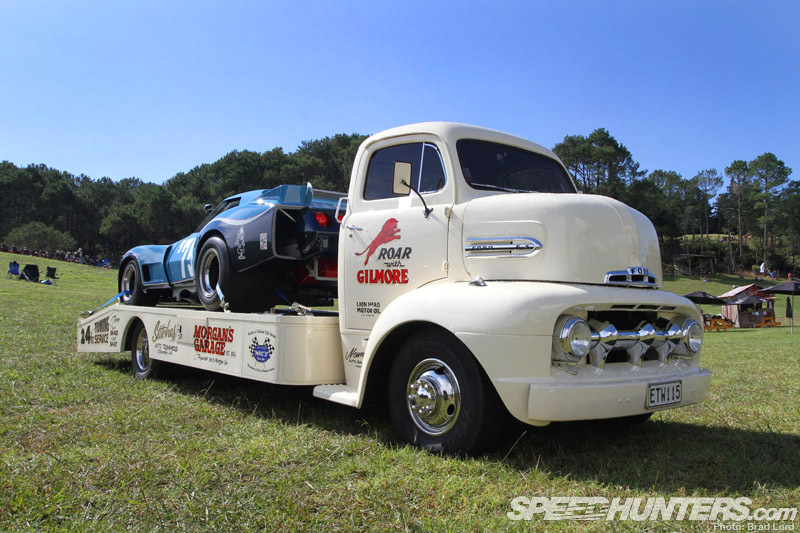 This ’51 Ford Coe-based transporter is super cool on its own, but throw a legendary Greenwood Corvette on the back and it’s something else. 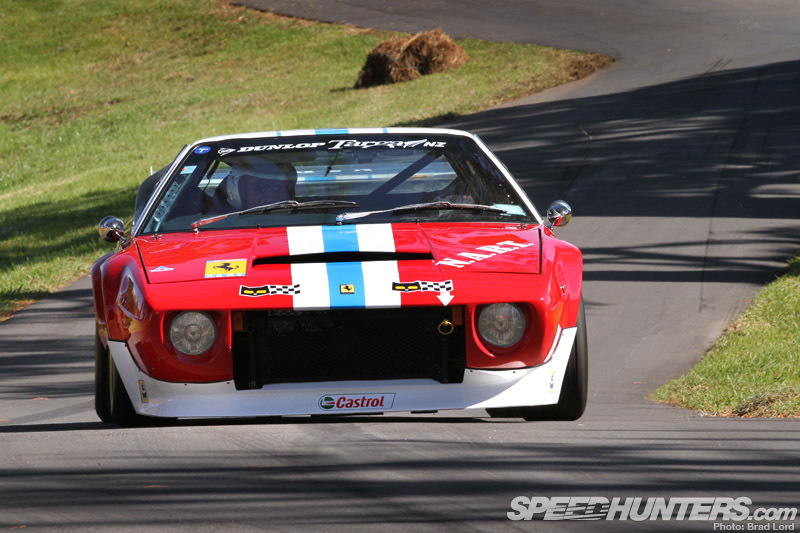 …and the next minute it was an exquisitely-prepared Ferrari 308 GT4 converted to GT4/LM (Le Mans) specification. 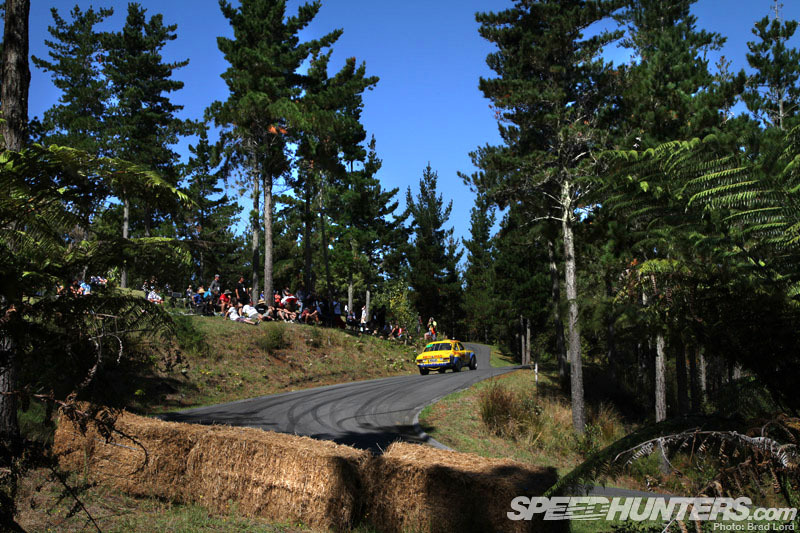 Drifting even got a look in this time around, with D1NZ driver Shane Allen far less interested in a time slip than he was in sending smoke signals. 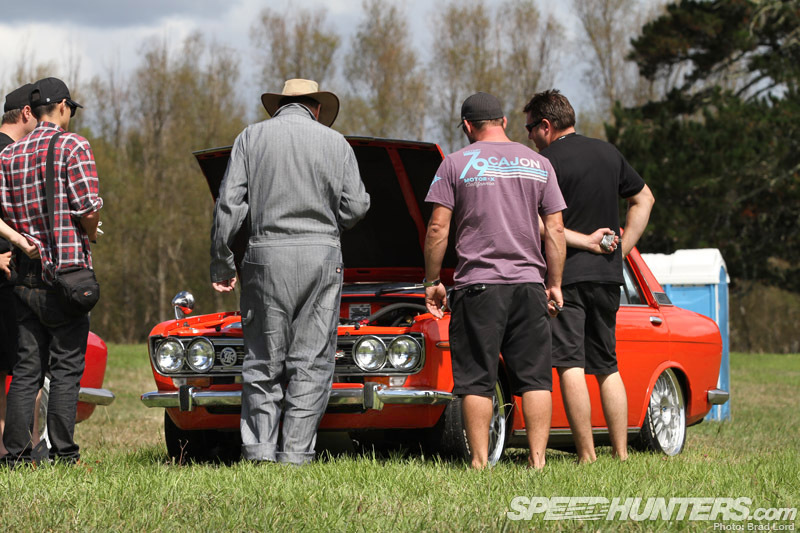 I take my hat off to Rod, Shelly and their extended family and friends who put on the event for nothing more than the opportunity to share their love of cars and the culture that surrounds them. With more spectators about this year too, it’s great to see the Festival gaining the momentum it truly deserves. 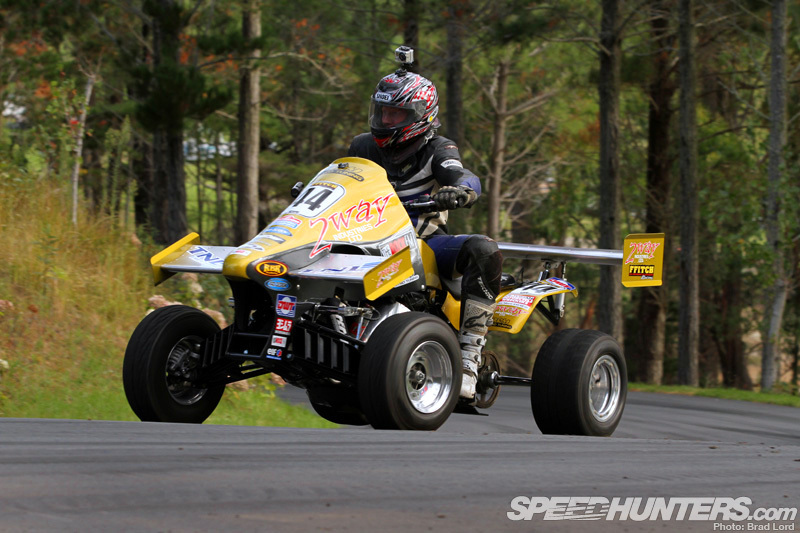 love to have a blast on that quad bike if you've not seen the worlds fastest Indian then its worth a look. there is a lot of rubbish corny rubbish in it but still, one of the great biking films. the start is great/funny and spine tingling all at once.